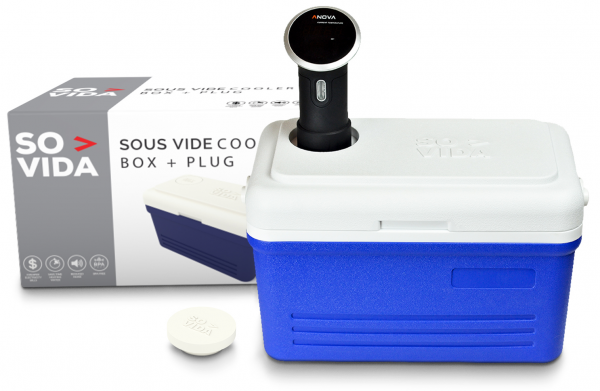 The SO-VIDA Sous Vide Cooler Box provides the greatest insulation capabilities vs any other container in the market. The ONLY Sous Vide Container engineered from the ground up to provide the best insulation, noise reduction, work surface protection. This means you can save money from lower bills, save time from faster water heat up times, protect your work surface from the raised feet. 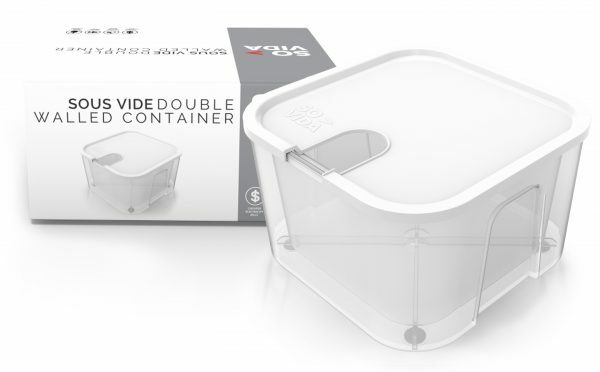 The double wall provides an air gap for superior insulation in comparison to any regular container with or without a sous vide sleeve. 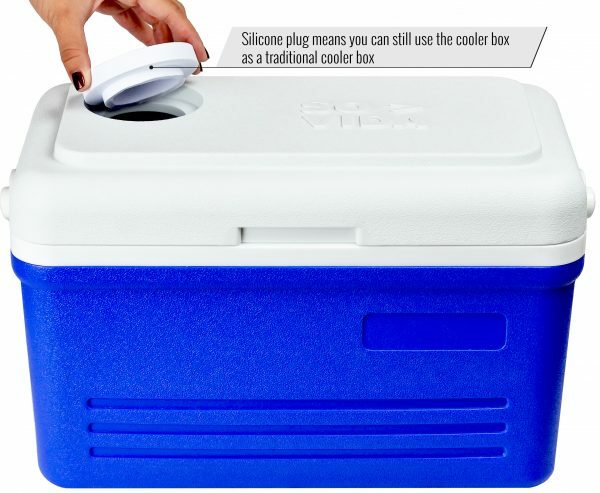 This is the unquestionably the best insulated sous vide container in the market. 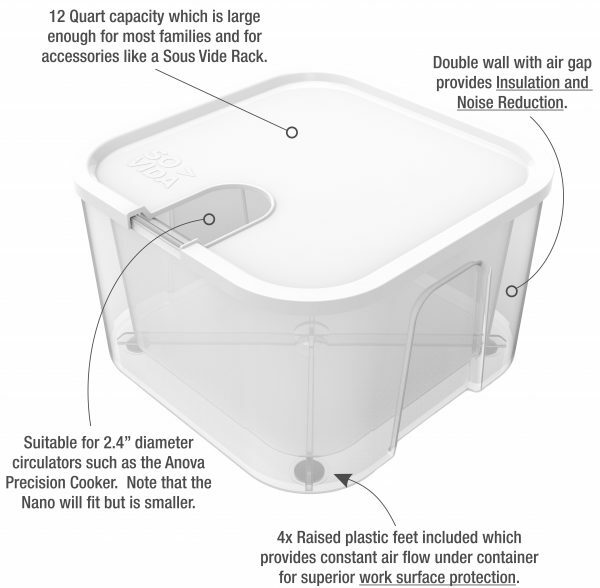 Container has a 12 Quart capacity and includes a lid for the Anova Circulator (NOT the NANO). This lid is also compatible with any other circulator with a 2.4” diameter.